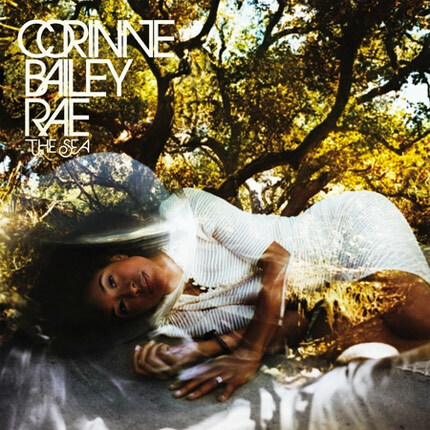 Corrine Bailey Rae stepped back into the studio and released her sophomore album, The Sea January 20,2010. The album is heavily filled with emotion due to the period in which this was recorded- before and after the death of her husband.Are You Here and I’d Do It All Again aren’t exactly what I’d want the album to start with. They are very sad and although I like I’d Do It All Again, I wish something like Feels like the First Time would start the album off. The Blackest Lily doesn’t really flow with the album. Its Rae going back to her former electric guitar roots and it’s hard to really listen to it. Closer has a nice groove and intimacy that I feel like Corrine made just for her husband; it has a sensual feel to that I think the slow beat and drums contributed. I don’t want to sound mean because I love Corinne, but Love’s On It’s Way sounds like she made this while drowning her sorrows with an alcoholic beverage. It’s very dark and I imagine that she wrote this after having to deal with the death of her husband. Driving for Hearts is so mellow and is calming me down after being all happy. The first verse is like climbing under your favorite blanket on a cold night, then WHAM! The chorus hits you with some cold air and it’s very drowsy. I like the verses, not the chorus. The Sea is like the ending of the really happy relationship afore-mentioned in Paris Nights/New York Morning’s. The piano ends the album nicely and doesn’t make the ending feel so abrupt.